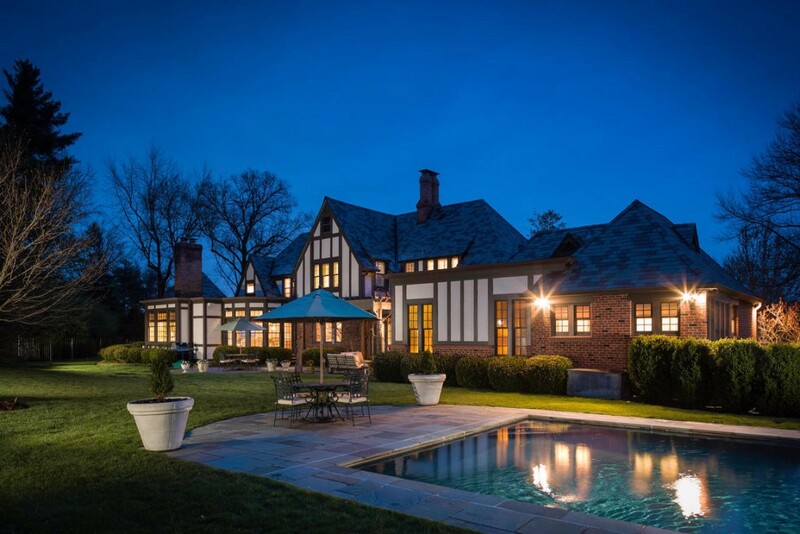 For some unique luxury buyers and sellers, the history of a house or property plays an important role in their home search. But, finding a real estate agent who knows how to navigate the historic housing market can be equally as important—if not more. Experienced Janet McAfee luxury real estate agent, Kevin Hurley, shares his advice about how best to sell an historic luxury home. Is there anything luxury sellers should do before deciding to list? I think the key for anyone selling a home, and especially an historic home, is to make sure the house is in great condition. Luxury buyers are critical buyers and expect a certain level of condition and presentation. In the end, luxury homes are significantly different from most listings in that you must make a significant time investment to document the heritage, detail amenities and updates, and address lifestyle considerations. What are luxury buyers looking for in historic homes? I mostly list historic homes in the Central West End near Forest Park. There, buyers looking at one-hundred-year-old homes or older are generally looking for architectural integrity. They're looking for homes that have been well-maintained, updated to a certain degree and also enjoy a good location. The West End that has a limited amount of these unique homes which are impossible to replicate. So, it's a very special buyer—one who likes history but enjoys today’s modern amenities. What kind of updates are luxury buyers looking for in the Central West End? Kitchens and bathrooms. More specifically, an updated master bath is typically the first thing on the list. But for the most part, they just want a home that’s in good condition because they’re buying these homes for the historic details and often have the resources to customize the updates. Tell us about a recent luxury sale that you have made. How did it sell? First of all, you have to have professional photography because that's how a home is first presented to a potential buyer. Then, it’s important to have good marketing materials, brochures, etc., especially because these are very complicated, extensive listings. Luckily, I've lived in an historic house in the West End. I’m well-aware of both what people's concerns are and what attracts people in the area. It’s important to counsel potential buyers about those considerations. Is there anything unique about the way homes in your area sell? How do your clients find you? I've lived in the West End for 40 years. I have a network of agents who regularly call to ask questions about my listed homes and see if there is anything else coming up. I place print advertising in the West End Word, I promote my listings on social media and I send out postcards of newly-listed and just sold properties. This helps solidify my reputation in an area. I have former neighbors who refer me to clients with interests in the area. I am lucky because I've been in that specific area for quite some time which helps because I can keep my eye out and reach out to people when I know something’s coming up. Are you looking to buy or sell a luxury home? At, Janet McAfee our real estate agents are seasoned experts in selling luxury homes. From how to research the value and market your home to helping stage for specific buyers, our luxury clients truly reap the rewards of working with a Janet McAfee agent—and you can, too! Spring has sprung … Hooray! Finally, Spring is here! It’s sunny, in the 70’s and the residential real estate market is in full bloom! 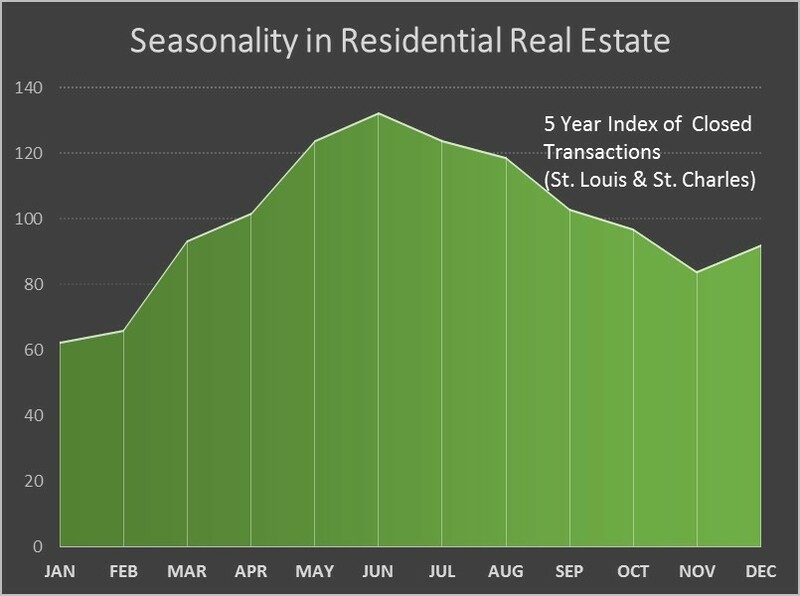 In the St. Louis Central Corridor, 309 listings were put into MLS in the last 7 days. 235 listings went under contract (both new and existing) and 188 sales closed. In the same period for the luxury market (over $1 million), there were 18 new MLS listings, 6 went under contract and 2 closed. Happy Spring Selling and Buying! We live in a visual world where seeing is believing and believing is seeing imagery that excites each person’s individual tastes. Nowhere more is this true than with the staging of a home to sell. In fact, 81 percent of buyers argue that staging a house helps in visualizing a property as a future home. The keyword there is home. A place that looks polished but lived in, laughed in and loved. Staging plays a vital role in prepping a house for market. While the practice can be time consuming and costly to sellers, virtual staging has changed that by transforming how buyers can envision the home of their dreams. Let’s take a look at some key differences between physical and virtual staging. The physical staging of a home will typically involve the clearing of clutter, furniture rearrangement and occasionally, replacement. If a home is completely empty to begin with, a design expert will sometimes be hired to gauge the feel of the house with decor to match. All in all, this process can be extremely costly to the seller, ranging anywhere from $350 per room on the low end to over $200,000 for luxury homes. However, virtual staging is a fraction of the cost. Most rooms can be fully furnished—virtually, that is—for about $100 per room. The coordination it takes to physically stage a home far outweighs that of a virtual stage based on the convenience factor alone. For a physical stage, clients must consult with a designer, clear out and move decor around accordingly, have new items moved in and then capture the look with a photography session. Virtual staging, on the other hand, is done without much contact at all between consultant and seller. With the exchange of some photos and guided direction, stagers are able to arrange and rearrange virtual furniture throughout a room many times over within a matter of a few short hours. Whether looking to cut costs or re-envision your home decor with ease, virtual staging has opened the door to new possibilities for sellers and buyers alike. Choosing the best option comes down to understanding what works best for your goals, timeline and overall asking price. Need help deciding on whether to opt for physical or virtual staging when it comes to selling your home? Contact Janet McAfee Real Estate today for three decades worth of home buying and selling insights you can count on. I just read a scary fact in Realtor magazine: $969 million was diverted or attempted to be diverted from real estate purchase transactions and wired to “criminally controlled” accounts in fiscal 2017. The fact is attributed to FBI data as reported by the Washington Post. Scammers are targeting real estate professionals, title companies and mortgage lenders with phishing emails and fake text messages. One way home buyers are scammed is they receive an email providing wire instructions for funding their new home purchase. Please be aware - this is a fake email. You should NEVER respond with your account information without speaking first hand to your agent or title representative. I read a recent story of a Memphis home buyer who responded to a genuine-looking request to wire the full purchase amount of $203,000 to an account, which turned out to be fraudulent. The money was gone, wired to a bank account controlled by an invisible thief. Another risk is hacking. Realtor magazine also reported about 80 percent of hacking-related breaches were through stolen passwords or passwords that were easy to guess. If your password is “password,” stop reading, immediately close your browser and change your password. What is your home’s best-selling feature? The marketing strategy for promoting a listing should address your home’s best features. Each and every selling feature of your home adds value and justifies the asking price to the buyer. As a listing broker, our job is to communicate your value proposition in order to achieve the highest possible purchase price. Here’s a couple of thoughts on how your marketing strategy can support your home’s best features. 1. If acreage or land is one of your homes best features …. Areal or drone photography is a great way to showcase your home’s manicured lawns, expansive lot size and exterior amenities, like swimming pools, lakes, pool houses and out buildings. 2. If outdoor amenities create an unbeatable lifestyle…. A swimming pool, loggia with outdoor fireplace and lush gardens should be displayed to buyers at their peak. Time your market launch to coincide with opening your pool and spring leaf greening. 3. If your home’s architectural lines are captivating …. Twilight photography might just be the ticket to transform your house into a magical English manor. Please contact your Janet McAfee Realtor for more ways to customize your marketing plan to promote your home’s best features. Take the stress out of your home inspection. Selling your home can be stressful. And, no time during the selling process is more stressful than the inspection period. Sellers wait on the side line while the buyer’s inspector goes through their home with a fine tooth comb. Afterward, a repair list is submitted with all the items which the seller had no knowledge even existed. Here are a few things from a Realtor’s point of view to help reduce inspection anxiety. 1. Consider a pre-listing inspection. There’s no rule that says a seller cannot hire his/her own inspector before the home is listed. The seller can learn about hidden defects beforehand and either repair them or disclose them upfront to the buyer. 2. Do a thorough cleaning. A gleaming house sends a message that the home is lovingly cared for. There is less reason to suspect deferred maintenance or problems caused by neglect. 3. Check the windows. Inspectors are trained to make sure windows and doors are fully operable. Check to make sure windows open and close properly and that there are no cracks, broken sashes or broken window seals. 4. Do the outlets work? Inspectors will test electrical outlets, GCFI’s and the electrical panel, most of which are outside my scope of knowledge. What I can do is to find out if the outlets are working and replace ones that don’t. 5. Complete items on your repair list. Do you have a “honey-do” list? Do light bulbs need replacing or drains need declogging? In the long run, it saves time, money and anxiety to make those minor repairs before listing the home. 6. Get current with your seasonal maintenance. If you have missed a few seasonal maintenance checks, now is a good time to schedule your HVAC, lawn irrigation or other regular checkups. While you’re at it, change the battery in your smoke detectors and replace your air filters. 7. Clear away piles of stuff. The inspector needs clear access to HVAC systems, plumbing stacks and basement walls/foundation. Clear away anything that would prevent the inspector from being able to access the attic or reach mechanical systems or inspect the foundation. Do you have other suggestions for reducing home inspection anxiety? I’d love to hear them. Do You DECK THE HALLS a little or a lot? 'Tis the season for holiday decorating! For my own home, I say "the more the merrier." I love coming home to a house twinkling with lights, wreaths on every window and planters stuffed with mixed evergreen branches. There’s nothing more pleasing than the aroma of fresh cut pine, fir or cedar meandering through the home. Oh, how I love garlands of holly, ivy, magnolia and mistletoe on my mantel and dining table. However, when I put on my Realtor hat, I remind myself "Less is More." Too much of a good thing is distracting and confusing to buyers. Nothing turns off a buyer more than cramped halls, obstructed entry ways and rooms overstuffed with holiday tchotchke. So, if your house is for sale this holiday season, DO decorate and DO practice a little restraint. Instead of using every color of the rainbow, choose one or two predominant colors and maintain consistency throughout your house. My personal favorite is green with gold or green with silver. It’s fresh and there is so much variety in evergreen cultivars that you you’ll never get tired of it. I also think red is festive and appropriate for light filled homes with white walls and neutral furniture. What do you think, a lot of holiday décor or a little? It may surprise you to learn that the holidays are a good time to sell a home. Popular opinion tells us buyers are too caught up with travel, social engagements and gift exchanges to look for homes. The truth is … we sell homes every season of the year. Holiday buyers are enthusiastic and emotional; they are serious buyers, less distracted by busy work schedules. Often, they are more motivated to achieve house buying goals during this season of homecoming. Myth #1 No one is looking. The reality is that when work commitments slow down around the holidays, buyers look online. Corporate transferees schedule home buying trips over the holidays. Holiday buyers have a sense of urgency to write an acceptable offer before the end of the year. Myth #2 Holiday decorations deter sales. 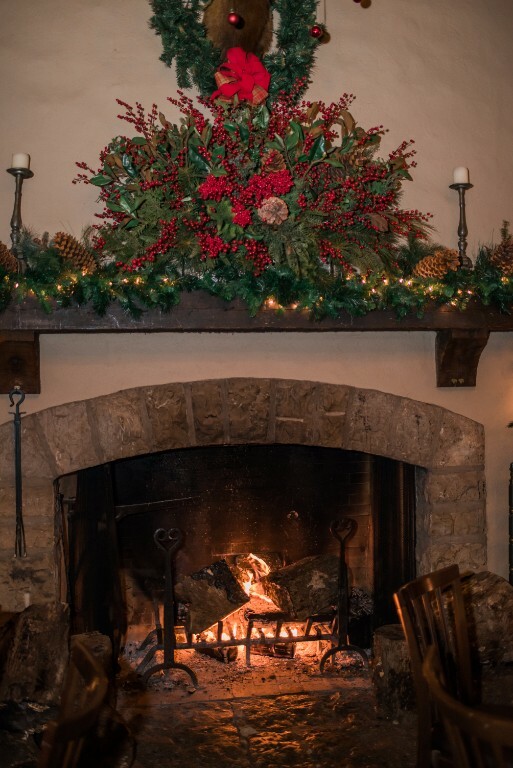 There is nothing like an abundance of lights, a fire in the hearth, the smell of fresh pine and a festive atmosphere to make a home look its best. 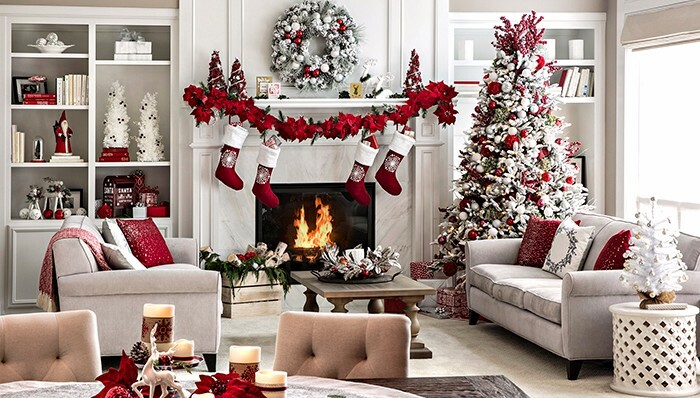 As long as it’s not overdone, holiday décor makes a house warm and inviting, which appeals to buyer emotions. Myth #3 Spring market brings higher prices. The fact is prices are more a function of supply and demand (market dynamics) and less a function of the season. Inventory is lower over the holidays; sellers face less competition; and serious buyers are quicker to make a strong offer. We don’t have a crystal ball to predict Spring prices, but we do know that 2017 has been strong year and there are qualified buyers actively looking now. A person who devotes time and energy to view properties during the busiest time of the year is a serious buyer. Sightseers or people just seeking decorating tips are more apt to tour when nothing else is going on. Serious buyers are out looking during the holidays. How Often Do You Want to Hear from your Realtor? When a client is dissatisfied with their Realtor, the number one complaint is often lack of communication. Complaints include lack of feedback on showings, lack of market updates and inability to reach the agent in a timely fashion. The frequency of communication should be decided up front when the agent first starts working with a buyer or seller. There’s no right answer: some clients like to hear from their agent daily; some prefer an automatic alert for all new listings; others prefer a weekly recap of activity. The important thing is to set up the expectation and then be consistent. Another communication strategy to establish up front is how you would like to be contacted. For me, there is no substitute for personal contact. But I recognize that face to face meetings every day is not realistic. Decide up front if you prefer phone calls, emails or texts. Some successful agents schedule a detailed email and phone conversation at a specific time every week. How often and which method do you prefer to communicate?